Pittsburgh is a hub of technology and education. Pittsburgh Supercomputing Center, Carnegie Mellon University, the University of Pittsburgh, Duquesne University and other institutions in the area are drivers of innovation and growth. It is widely regarded as the center of autonomous vehicle development, engineering and testing. It’s long history of being known as a port city, where regions come together, continues in the modern age as it’s central location can meet a wide variety of needs for both Midwestern and Eastern markets. In the middle of this is DataBank. 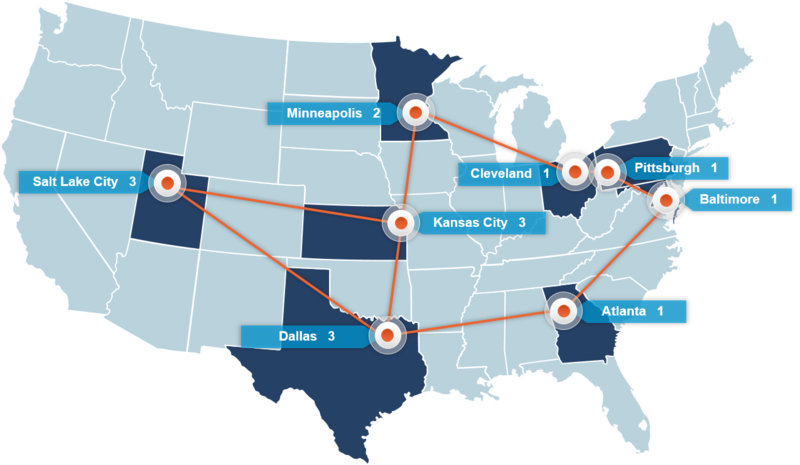 It’s downtown Data Center is the Carrier-Hotel for the Metro Pittsburgh Area and is able to supply carrier neutral access to a rich selection of carriers. Located inside NOVA Place, the newly renovated Allegheny Technology Center Mall, DataBank’s Downtown Pittsburgh data center offers a technology business center setting with robust connectivity to a variety of top-tier carriers and network providers.